With the rise of massive online open course platforms (a.k.a. “MOOCs”) like Khan Academy and Coursera, a new model of online learning has emerged, promising quality, affordable education at scale. This new generation of educational platforms offer alternatives to expensive degrees programs and physical classrooms in the hopes of ushering in Education 2.0 by emphasizing interactive, personalized and skill-based learning. Tapping into this trend, Chase Jarvis and Craig Swanson launched CreativeLIVE in early 2010 to bring a live, online classroom to creative entrepreneurs. Since then, the Seattle-based startup has flown under the radar, building a social learning platform that has quietly attracted one million students from over 200 countries. Today, creativeLIVE is officially pulling back the curtain on its global classroom and announcing that it has closed $7.5 million Series A financing led by Greylock, with Greylock partner James Slavet joining the startup’s board of directors. In addition to its raise, creativeLIVE has also made Mika Salmi, the former president of Viacom Digital, its new CEO. Other than its recent investment in Edmodo, Greylock’s investments in education have been few and far between. But Slavet tells TechCrunch that continuing education is a $100 billion industry and one that still lacks market-defining players. As a result, the right team and model stand to have a big impact on the space — and create a lot of value — and Slavet said he thinks creativeLIVE is well-positioned to do just that. 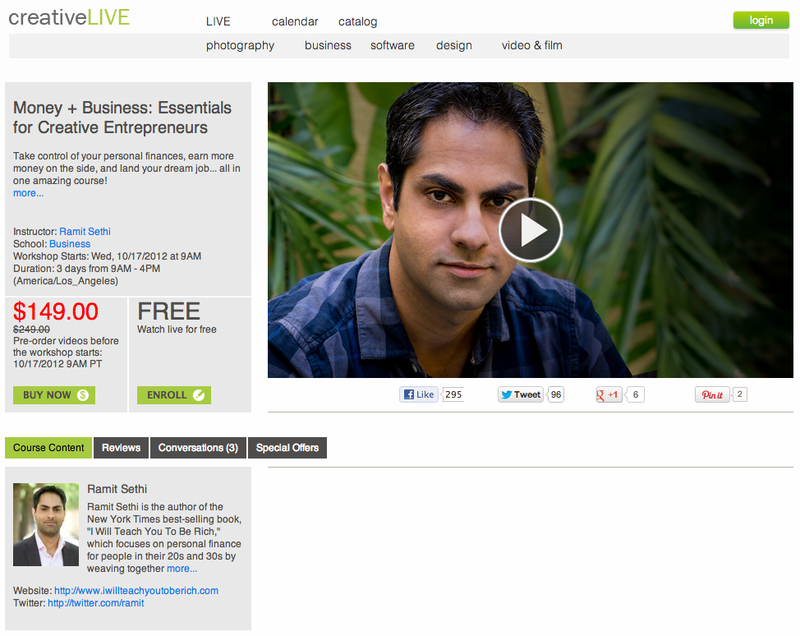 Cheerleading aside, creativeLIVE is hardly the first to attack this space. Khan, 2tor, ShowMe, Udemy, Udacity, Coursera, EdX, StraighterLine, TED, Knowmia, Educreations and many more are in a variety of ways using video and digital platforms to offer more frictionless access to continuing education and affordable learning. Collaborative learning platform SkillShare and PowHow, a startup we recently covered that is building a marketplace for live, webcam classes in subjects like fitness, cooking, music, arts, DIY, and crafting. But the best parallel for creativeLIVE would be Lynda.com, which has been offering a virtual video library of courses taught by industry experts since the ’90s. The company hit $70 million in revenues in 2011 and now offers over 1,200 educational, how-to videos, providing paid learning content to individuals, Ivy League schools and companies like Disney, Time Warner and Pixar. In particular, one thing that has set Lynda apart from today’s emerging DIY online video models is the fact that it produces most of its content in-house. Like Lynda, creativeLIVE takes video quality seriously and has become a video production operation in addition to simply being an online distribution platform. The startup has its own studios in Seattle and San Francisco, which allow the startup to offer live, streaming classes in cable-quality, HD video, which stands out when compared to, say, the pile of user-generated how-to videos on YouTube. In addition, while Lynda.com users can unlock its videos for a monthly subscription fee of $25, creativeLIVE offers its classes for free. The startup’s courses are streamed live, all of which can be accessed for no cost, and if viewers want to watch the class again, or re-watch particular sections, they can purchase the video at prices that range between $29 and $149, depending on the course. creativeLIVE co-founder Chase Jarvis says that he thinks the startup’s pricing model gives it a competitive advantage, as anyone can access its high-quality video-based courses for free and pay for repeat consumption. The model led the company to profitability early on, where it has remained since, so the co-founders’ confidence in the model seems to be well-founded. The incoming revenues have also allowed the startup to dish out “millions” to instructors. While the co-founder wouldn’t specify what the platform pays its teachers, he did say that, typically, teachers can make the same amount teaching for a few days on creativeLIVE that they would make in a year. With the incentive of supplementary income, Jarvis said that the company has seen a lot of demand from teachers and is quickly adding to its current roster of 60. CreativeLIVE’s instructors now include names like Tim Ferriss and Ramit Sethi, photography instruction from Pulitzer Prize winner Vincent Laforet and filmmaking classes by Gale Tattersall, the Director of Photography for House. But it’s less about finding celebrity teachers than it is about creating a highly curated experience with content provided by those who are best at teaching their particular subject, Jarvis said. Because the co-founder is a professional photographer by trade, the startup initially focused on the creative arts and has since expanded its scope. As of today, it offers classes in photography, business, software, design and film and, with its new infusion of capital, will be looking to expand into other disciplines in the near future, along with tailoring content to its international users. The startup also has a big leg-up thanks to its hiring of Mika Salmi, the former president of Digital Media at Viacom. Prior to Viacom, Salmi founded AtomFilms, an early player in short-form digital content, which he merged with Shockwave before selling the company to Viacom for $200 million. He also has an eye for discovering talent, beginning his career in the music business with an independent label where he discovered and signed Nine Inch Nails, among others. CreativeLIVE is playing in a popular space that is gaining new adopters fast and furiously. With its new capital, the startup will be able to begin getting the word out to a larger audience, bringing new global learners into its creative classroom. But the real impact going forward, Jarvis says, will be made by those that can empower people to learn real skills to enhance their career or hobby to help them move up in their field, or turn their true passion into a day job. 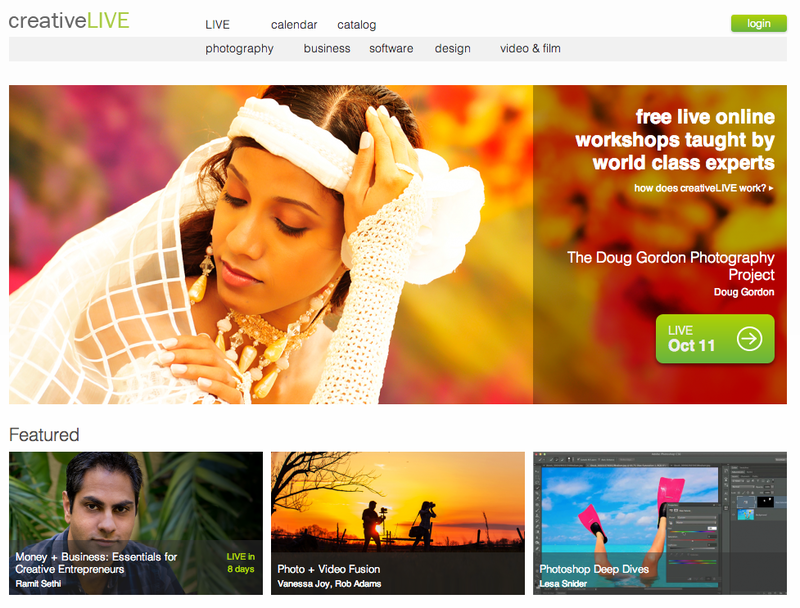 Find creativeLIVE at home here.